We are providing hand-knitted and crocheted hats for sailors in the US Navy and Coast Guard one ship at a time. It all started in 2010 with Lynne and Shanti. They had the idea to provide a handmade hat to every sailor serving on the ship Shanti would be commanding. Lynne (Shanti's mom) made that idea a reality with the help of knitters and crocheters from all over the world. They produced enough hats in a few short weeks to outfit the USS Decatur with some left over. We continue to knit and crochet hats for sailors on other ships in the US Navy and the Coast Guard. 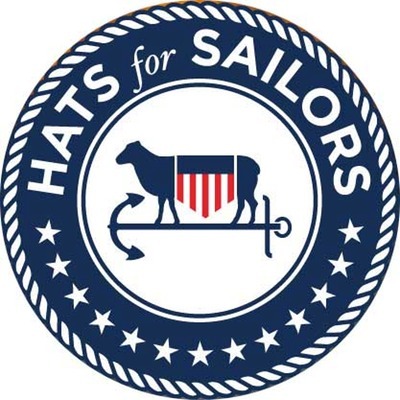 The Hat for Sailors' mission is to provide deployed sailors of the US Navy and the Coast Guard with handmade 100% washable wool hats made by loving volunteers from around the world. These beautiful hats are delivered in time for the December holidays, a bit of warm love and thanks to those who unselfishly take time away from their families to serve our Country. Hats for Sailors began in 2010 when the founder, Lynne, wanted to provide holiday gifts to the sailors on the ship her daughter Shanti was about to take command of, the USS Decatur. Shanti and Lynne decided to use their blog to ask knitters and crocheters to contribute handmade, 100% washable wool hats to the effort. The link to their blog was passed along and they received enough hats to outfit the USS Decatur, two Coast Guard cutters (all deployed in the Persian Gulf) as well as to Australian, British and Iraqi military personnel guarding the last remaining Iraqi oil terminal.